Obsessed with photography? Travel? Beauty? 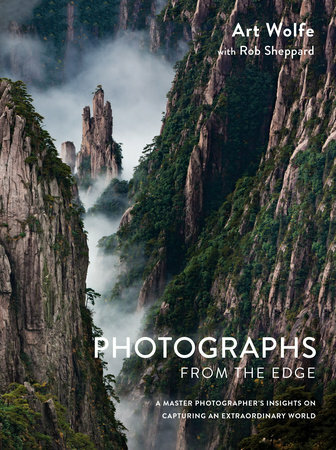 Then Photographs From The Edge by Art Wolfe is just what your coffee table needs. Learn from expert photographers Art Wolfe and Rob Sheppard who have captured the perfect moments all across the globe. I got this book for my ten year old son who is an aspiring photographer. He has an amazing eye for beauty and attempts to capture the beauty of God's creation wherever we go. I had hoped that this book would inspire and educate him in the world of photography and I was not disappointed. The images are vivid. The shots are creative and the write-ups are informative. This would be a perfect coffee table conversation piece or a gift for the photographer in your life. I also appreciated this book simply because I love to travel and this opens your eyes to different parts of the world. This is obviously geared towards adults but would work for teens or college kids as well. Disclaimer: I received this book from Blogging For Books in exchange for my honest opinion.